Our students have a wide array of interests! Isaac Newton offers many acitivities to enrich your child's spiritual, academic, physical and social life. Every fall, students at Isaac Newton in grades 4 through 8 have the opportunity to participate in First Lego League, also known as Lego Robotics. The students work together as a team to learn about software programming concepts and designing mechanical aspects of a Lego Mindstorm Robot. 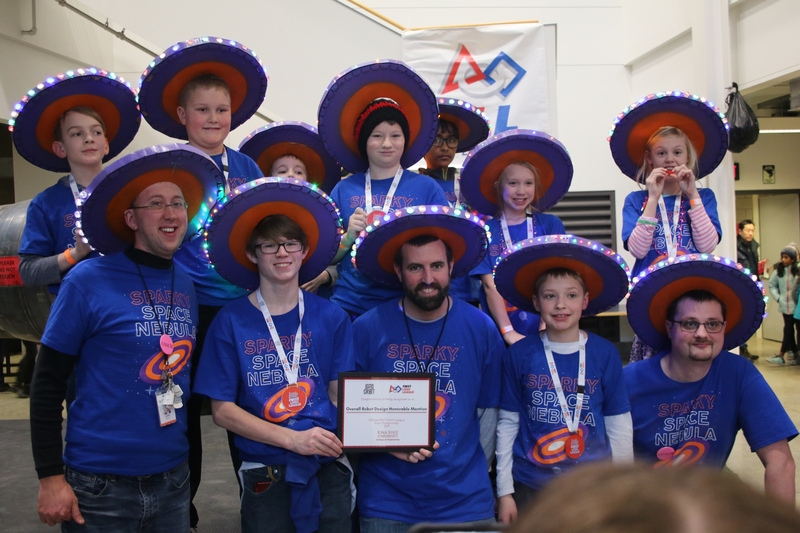 At the regional state qualifier in 2018, we obtained the highest robot point score which secured us a spot at the state championship in Ames. High School Student Council is made up of elected positions from each class. Student officials must maintain a 3.0 GPA in order to serve their classmates in this capacity. Executive Student Council officials are elected from the Junior and Senior classes. The Council meets once a month to plan and coordinate events such as the Late Nighter, the Spring Formal, service projects, and extracurricular ideas. The Student Council exists to give students an avenue to voice ideas about ways improve school as well as to give students an opportunity for servant-leadership. Our Jr. and Sr. high students have begun to explore drama by playing drama games and learning new skills in acting and improvisation. They are preparing skits to share during chapel services and plan to do a spring play. Drama Club is great for developing communication skills and building confidence. Isaac Newton students participate in several ACSI competitions including the Spelling Bee, Speech Meet and Math Olympics.